But that grip is beginning to slip as, over the weekend, Col. Jose Luis Silva, Venezuela's military envoy to Washington, became the highest-ranking official to date to officially defect to the opposition. His departure highlighted the most consequential struggle to determine who emerges victorious during the leadership challenge as the US-backed opposition seeks to wrest power from the ruling socialist party. Col. José Luis Silva told el Nuevo Herald in a telephone interview from Washington, "As the Venezuelan defense attaché in the United States, I do not recognize Mr. Nicolás Maduro as president of Venezuela." Col. Silva then stated, "My message to all armed forces members, to everyone who carries a gun, is to please let’s not attack the people. We are also part of the people, and we’ve had enough of supporting a government that has betrayed the most basic principles and sold itself to other countries." Mike Pompeo told the UN Security Council over the weekend that the world must 'pick sides' in Venezuela. But ultimately, the country's military will have the final say over whether Maduro manages to cling to power. 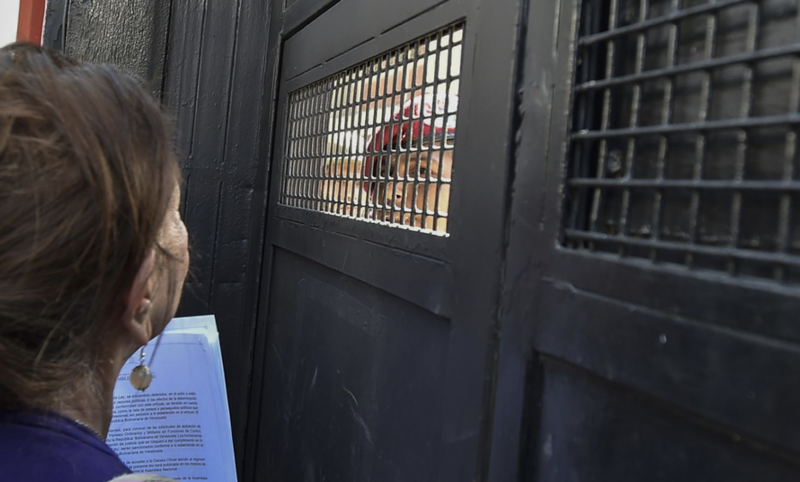 Silva was branded a "traitor" by the Venezuelan military and police, while Guaido welcomed him to the opposition. US secretary of state Mike Pompeo told a weekend meeting of the UN Security Council that they had to pick a side on Venezuela. "Either you stand with the forces of freedom, or you’re in league with Maduro and his mayhem," he said. He added that he hoped countries "will ensure that they disconnect their financial systems from the Maduro regime" without giving details. The US is the largest market for Venezuelan oil, which brings in virtually all the country’s export revenue. To try and convince the military to abandon Maduro, the Financial Times reported that supporters of Guaido have been handing out copies of an amnesty bill to members of the military promising to absolve them of any crimes short of "crimes against humanity" dating back to 1999. Guaido unveiled the document in a tweet over the weekend. While some two dozen countries, including most of Latin America, have recognized Guaido as the country's legitimate ruler, many others have continued to back Maduro. And more importantly, the country's military has fallen in line behind Maduro, who in a speech on Sunday accused "the Empire" - i.e. the United States - of intervening to try and topple his regime. Though it enjoys a degree of foreign support, the machinery of the state, including not just the army but also the country's courts, have remained firmly on the side of Maduro. But the "amnesty" campaign is the most comprehensive effort yet to win over the military to the side of the opposition. 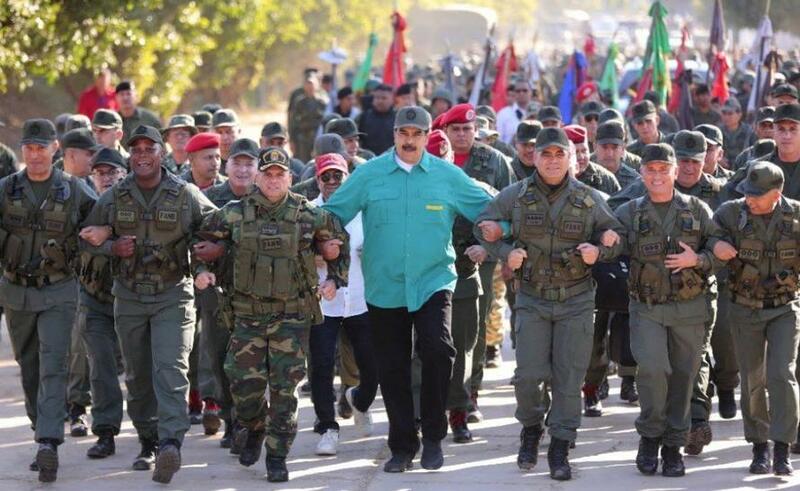 "They want our armed forces to throw a coup," Maduro told the troops in remarks broadcast on state television. "Well, we’re going to prepare our weapons so no one dares to think of touching our sacred land." Still, the country's enduring economic collapse has won Guaido the loyalty of many Venezuelans. Over the weekend, he called for two more street demonstrations during the coming week, a call that was swiftly recognized by the US. He has also told US media that he is "behind the scenes" talks with "government officials, civilians and military men." If Washington wants to ensure regime change in Venezuela, then the dreaded "military options" reportedly floated by Trump might be the best and only option. Which begs the question: Does this mean a civil war between the socialists and the opposition is imminent?